Aeration – Aeration is one of the best-kept secrets in great lawn care, and tends to go unnoticed among the list of other “flashier” lawn care services. 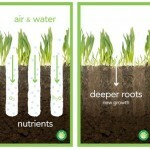 But the quality of your root system is directly related to the quality of your lawn. In fact, worrying about fertilizer before you’ve tended to your soil quality is like trying to repair your car by topping it off with a full tank of premium instead of addressing its engine problem. Want to know more? Click here! Power raking and dethatching – “Thatch” is the dead debris on the top layer of your soil that can prevent your lawn from fully absorbing fertilizers and nutrients from the sun. 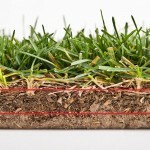 Excess thatch can lead to more serious problems as well–In addition to limiting your grass’ ability to grow into the gorgeous lawn we all know it can be, it can also lead to lawn disease if not addressed properly. What’s the difference? Click here! Spring and Fall clean-ups – When the snow melts, the sky clears, and we get our first rays of spring sunshine, it’s always nice to have a fresh, clean start to your spring lawn. 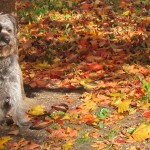 Then, once the leaves fall and the temps take a dive, get your yard ready for winter. You’re asking, “What’s included in spring and fall clean-ups?” About whatever you need. They often include cleaning out your landscaped beds and picking up leaves and debris, but we can cut down perennials, clean out window wells, and much more. 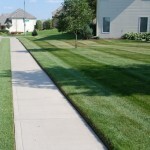 Edging – Edging is a great way to make an immediate impact on your property’s curb appeal, without breaking the bank. You’ve seen your neighbors have it done, now it’s your turn! Click here. 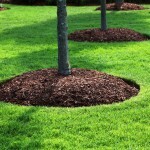 Mulch Rejuvenation – Not only is mulch a visually appealing addition to any landscape, it also has many practical benefits. These include: Conserving soil moisture to reduce water usage, keeping weeds at bay, and providing landscaped areas a finished appearance. Want your mulch to be fresher than the Prince of Bel-Air? Whistle for the cab and click here.